Would you like to know more about the origins and history of candles, their symbolic force or how the candle clock was invented? Click on the headlines that interest you. And then ... Happy reading! Is the Advent candle derived from the candle clock? So many, so high, so heavy: candle records! These days, we enjoy a huge choice of candles. But they obviously all had to be invented before that was so. 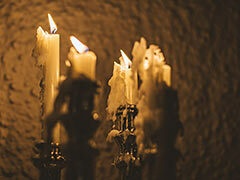 Historically, we have no proof of how candles first came about. 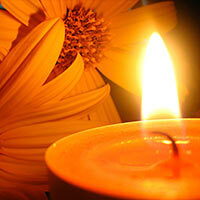 It is assumed that the Romans were the first to use candles made from tallow, pitch and wax. 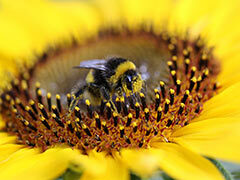 From the 2nd century AD, candles of better quality made from beeswax began to appear. 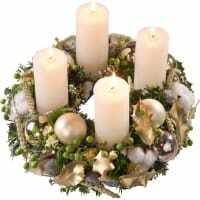 Due to the scarcity of the raw material, these candles were very costly, so only the very wealthy or the church could afford them. 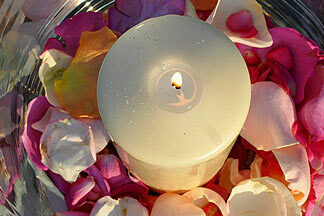 Most people had no choice but to carry on using candles made from fat and tallow. They smelt bad, gave off sooty smoke and didn’t look very attractive, either. In the 17th century, arsenic was added to tallow candles to improve their colour. Whilst these candles certainly looked whiter, they unfortunately poisoned anyone who used them. 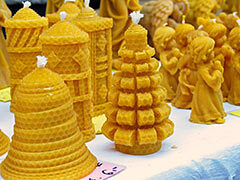 Luckily, the first production companies started making beeswax candles on a large scale in the 18th century. Spermaceti (sperm whale oil), which made it possible to produce glossy white candles, was discovered at around the same time. Last but not least, stearin and paraffin were also invented in the 19th century, in 1818 and 1837 respectively. These all made candles much cheaper, so much so that we can now afford them all year round. 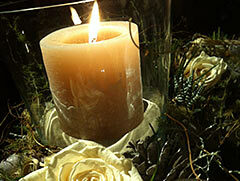 Our tip: it’s well worth choosing good quality candles made in Switzerland. These are often a little more expensive, but they burn longer and more evenly, without dripping or smoking. 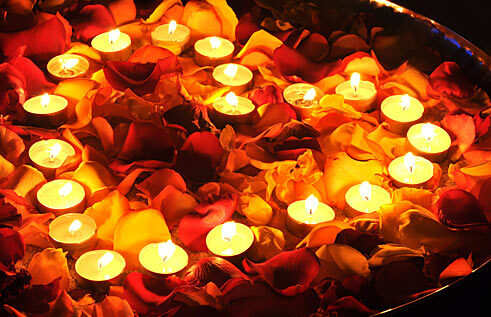 Read our tips on how to take care of your candles HERE. 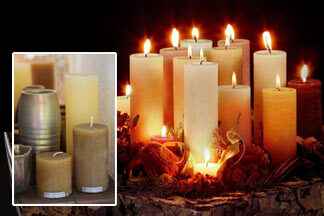 For info on the art of choosing the right candle, click HERE. 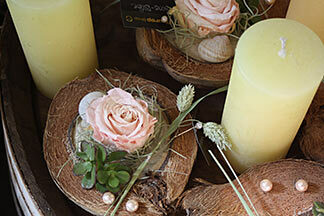 Creating a cosy atmosphere with or without candles, see HERE. To understand why we feel so drawn to candlelight, one has to know that the flame is widely seen as a symbol of sunlight. The sun is the source of life. Which is why it was revered in the prehistoric age, elevated to the status of a deity in many cultures and symbolically replaced during the night or winter by fire, oil lamps, burning torches and then candles. 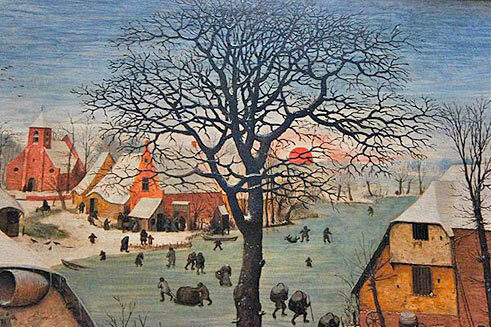 The winter solstice was regarded as particularly important: from that point on the days grew longer again and people looked forward to the reawakening of nature. 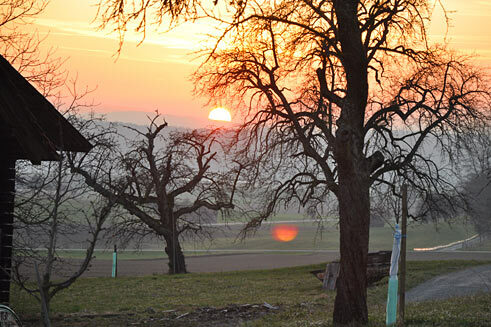 The winter solstice signified life and resurrection. These days, it occurs on 21 or 22 December. 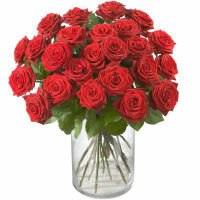 But under the Julian Calendar introduced by Julius Caesar, it fell on 25 December. Which is why the ancient Romans celebrated the birthday of Sol Invictus, the sun god, on this special date. Similarly, the early Christians also fixed the Christian festival of Christmas on this date. Candles are especially popular in December because they add so much atmosphere; Advent and Christmas wouldn’t be the same without them! 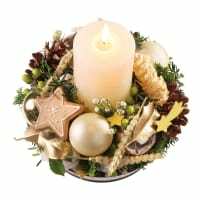 View tips for candle decorations HERE. 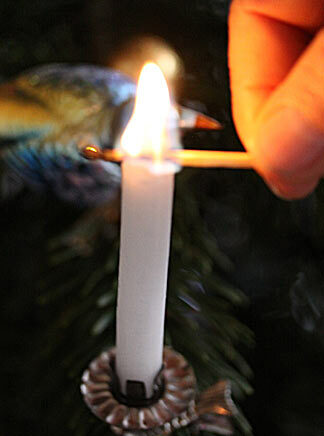 Browse atmospheric ideas for Advent HERE. Candles are both attractive and useful. At one time, they were even used as clocks. No one knows exactly when, although a Chinese poem written in 520 AD mentions a candle clock that was used to indicate the time of night. In Europe, there is evidence for the existence of candle clocks from 880 AD, because the English King Alfred the Great used one to divide up his days. Candle clocks had the added benefit of giving light as well as measuring time. Later, an acoustic means of measuring the time was added: copper nails planted in the candle at the hour marks fell into a metal dish as the candle burned down, announcing each passing hour. Al-Jazari, the Arab engineer, developed the most modern version of the candle clock in 1206. It had a dial with a time display and was very precise. 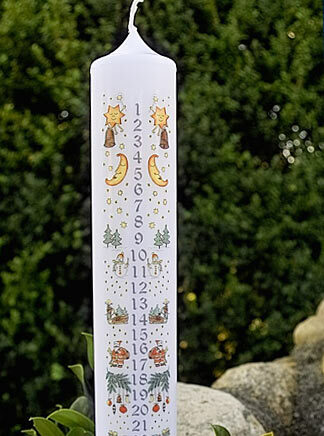 Today, some Advent candles resemble those candle clocks. Whilst they don’t indicate the hours, they do have marks for each day of the Advent period. The idea is that they are fully burnt down by Christmas Day. And it’s time to replace them with lots of atmospheric Christmas candles. Like the boy scouts of Bipp-Wiedlisbach in canton Bern, for example, who made a giant candle some 4 metres high, weighing 1.5 tonnes! Or the owner of a candle workshop in Rüschegg, canton Bern, who created a “Fire Angel” made from 8,888 candles for which she had collected 1.3 tonnes of wax residues over the past year. And in the Belgian city of Malmedy, an incredible 194,672 candles were used to light up a single Christmas tree, all at the same time. One wonders how the organisers managed to light all the candles so that the first ones hadn’t burned out by the time the last ones were lit! What a pity that the Guinness Book of Records didn’t exist before 1955. 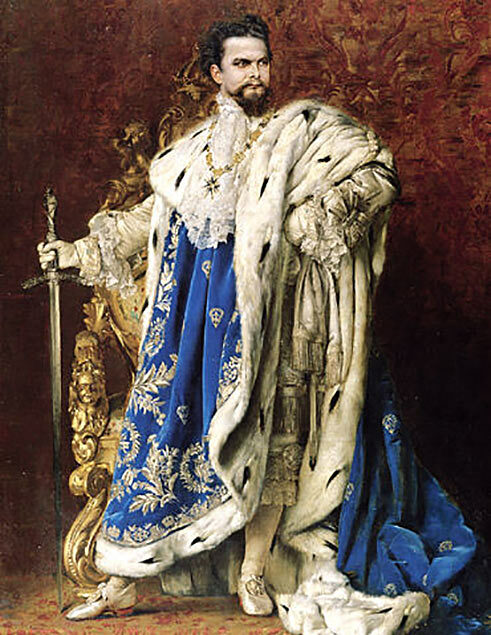 Because when King Ludwig II invited actress Marie Dahn-Hausmann to Castle Herrenchiemsee in September 1885, he decorated it with lavish floral arrangements and lit it up with no fewer than 4,000 candles! 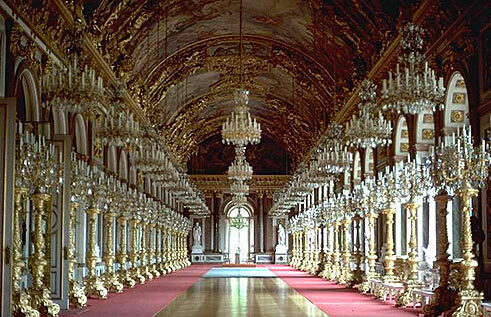 The Saxon Court was even more elaborate, allegedly burning 14,000 candles for a single reception held in Dresden in 1779! Read about record-breaking gifts and decorations HERE. 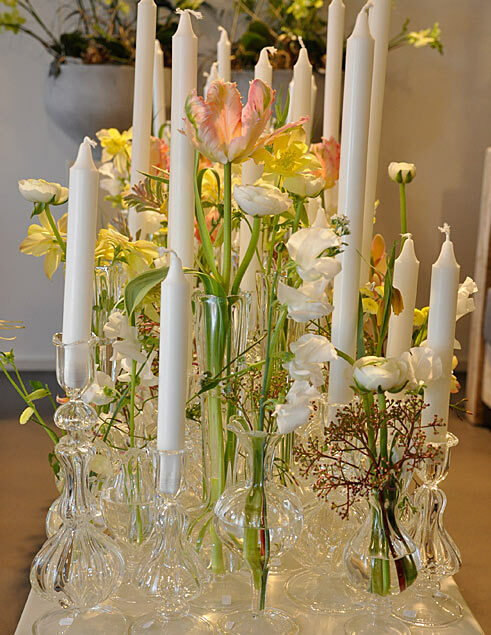 Fleurop florists use high-quality candles, most of them produced in Switzerland. These are often a little more expensive, but they burn longer and more evenly, without dripping or smoking. 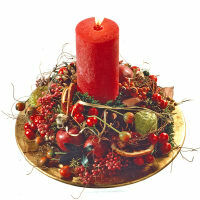 Good examples of Swiss candles are those made by Schulthess or Weizenkorn, for example. The difference between these and many products from other countries lies in the quality of the basic material. Swiss companies purchase high-quality, fully refined paraffin wax with a low oil content. In addition, they seek out reliable suppliers and remain loyal to them for decades. 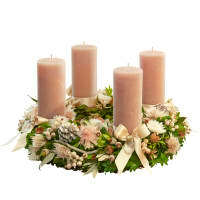 The advantage is that the wax supplier and the candle manufacturer then develop a basis of trust that they can build on. Another important difference lies in the choice of the right wick for the paraffin wax. 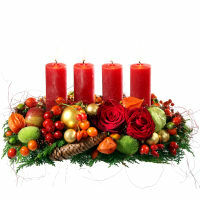 However, even high-quality candles like to be well treated. This is particularly true of dyed, tinted and perfumed candles. See HERE for candle care tips. Find out about the art of choosing the right candles HERE. 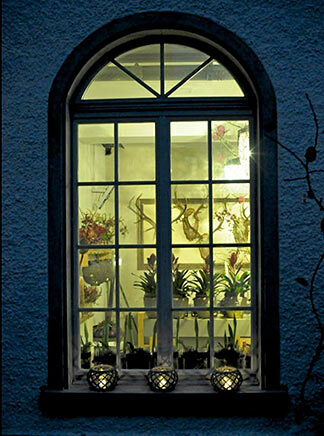 View tips on decorating with candles HERE. 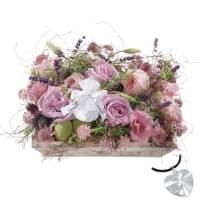 For bright Advent ideas, click HERE.